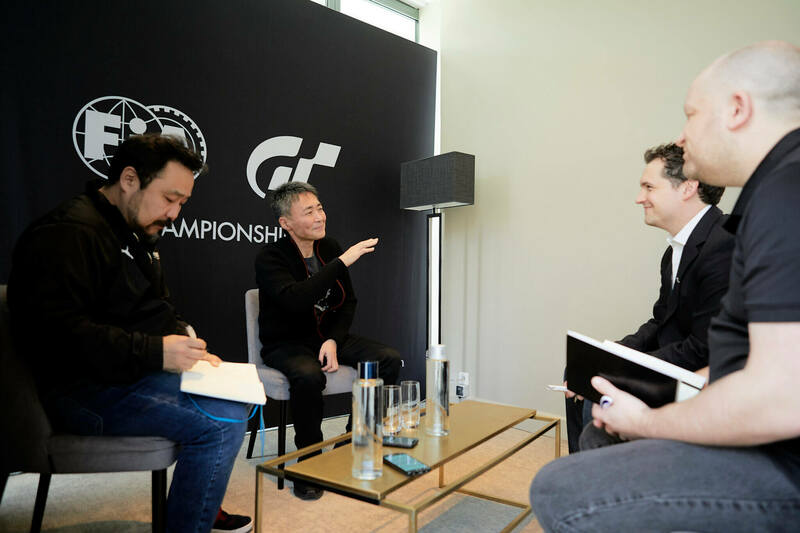 Discussion in 'Gran Turismo Sport' started by GTPNewsWire, Mar 21, 2019. This article was published by Andrew Evans (@Famine) on March 21st, 2019 in the Gran Turismo Sport category. dangerman1985, AKbizzy, QC YALUM and 9 others like this. All the latest modern GTE cars and some LMP2 machinery, please. Oh...and a Porsche Super Cup car. Keep up the good work PD. Thanks. TheNuvolari, dlshearon, Interstellar9 and 15 others like this. Exciting times for the future, that's for sure! I feel a lot of people forget that these series are still quite in their infancy. The thought of new championship ideas blooming from more in-depth manufacturer involvement is very interesting. Turbo Racer 48, kalakanto, AgentBlackDog and 5 others like this. Folks gotta start asking questions and grilling this dude. What do u plan on doing about long running bugs and glitches in the game? Are u really going to add weather(since u been silent so long) into the game anytime soon or was it somethimg too big for the studio to handle? What do plan on doing to the still flawed SR & penalty system that many players have documented wrong and unfair actions? Naw....lets just talk about esports. Keep the mediocrity going. dangerman1985, WestSideMike, Rinsky and 8 others like this. I don't think anyone ever criticised Gran Turismo for lack of potential, given PD is the most well resourced developer of racing games. Given Yamauchis comment that there's so much more that PD can do, my question would be why they're not doing it. dlshearon and Pigems like this. We were asking questions. I mean, that's how interviews work. Naw....lets just talk about esports. dlshearon, White Mamba, KayX23 and 7 others like this. So much more content to be done! Online or offline content is king. The more of these relationships that get established the more people there are doing a small amount of things. And as manufacturers get involved they’re going to want to be represented positively. Is this not why it’s so hard to get a full damage model. Nobody wants to see their cars all banged up. And what happens if a company keeps getting thumped because of a reflection of how strong the real car is? Maybe a manufacturer says they don’t want to take part if they’re gonna get thumped by Porsche all the time. Bring back the Used Car dealer from GT5 (and earlier GT's...) so we can score 20 mil cars once in a while for 10 mil or less. And for god's sakes please give us some retro tracks from GT1 and 2.
sirjim73, Marcobzzcs, WestSideMike and 4 others like this. svenvangent and Gamrac like this. I would guess that if you go to an event like this, and ask questions not related to that event, and only ask about issues you perceive that the game has, you will not get any answers either. You will also not get invited to future events and will lose the ability to ask any questions. For what it's worth, what you're asking for isn't suited to the situation. When I was at the FIAGTC events in Vegas and Monaco, we were told all interviews would be pertaining to the FIAGTC. That's sort of the point, really: we're there to cover that event. Nonetheless, we still snuck in some questions that were sort of parallel to the event, but still about the game. That sort of leeway is borne of mutual respect after numerous interactions. Besides, the assumption here is that any question will be answered. That's not how it works. All a "gotcha" approach does is shut down interviewees, which means no answers to the questions you have then, and likely less opportunities to ask any in the future. sirjim73, Marcobzzcs, White Mamba and 9 others like this. Its crazy maybe just to me that its almost likr a shock or a crime to want to know whats up with a product that was paid in full for...that has issues...and u have questions about what are future plans for fixes. Its almost scary what new gamers are willing to put up with these days. These are legit questions to the daily performace of a purchased product and people get mad about that. Im not the only one who wants to know these things as i am a member of over 10 groups about the game and i see stuff like this DAILY. I guess just ignore eh??? My post is getting likes so im clearly not the only one with these concerns here. dangerman1985 and BjoBosUndies like this. I think everyone would agree that you bring up valid concerns with the daily content that we would all like answered. This just wasn't the platform for those questions. watto79, RedlineRacer, MrSayAnythang and 1 other person like this. This should 100% be in the game. I don’t think requesting this feature is only personal desire at all. It’s not something additional, it’s been left out. I understand that fully bro. I was just stating that in none of his recent interviews do u see anyone asking these questions. GTP staff possibly did a seperate interview asking these kinds of questions. Hopefully they will post it soon. Exactly, its just not the place to ask those questions however I agree there are issues and of course I would also like them to be resolved but the best place to put these issues forward would be the Granturismo PlayStation forums as they are watched by members of PDs Staff. Where is the place to ask those questions? PlayStation forums? Really? You can ask em almost anywhere. As has been said not all forums are appropriate or welcome, even if appropriate and the community consensus. While PD doesn’t seem to receptive to these things they’re at least looking for a social media person we can pester with these legitimate complaints. Weren’t they looking for a community manager a year ago? I think they found their guy... the one that posts twitter photos and reposts a few things here and there and does nothing else to manage the community. And never once he ever mentions improving things for the drivers. That is extremely worrying, because they're all getting fed up and can't stand the format anymore, and selections being harder than ever on a 40 races season, many are already losing interest. Marcobzzcs, ShiftingGears, MrSayAnythang and 1 other person like this. I just believe in them not neglecting a large swarth of their fan base just to keep up on apperances for esports. That's all. I won't comment on anything further. I messaged one of the moderators and e explained that I'm not attacking them. PC is enroute so ill mess off with AC, iracing and race room alot more. Rinsky and CTstryk like this. Oh! Hah. I thought that was new. He clearly has a big impact with the work he’s doing. He wants to get cosy with manufacturers more than he wants to improve the games current features. Kaz wanted human drama. He's nailed that aspect for sure! PC is enroute so ill mess off with AC, iracing and race room alot more. We have our issues over here on PC sims as well, all games do. Don't get too excited or surprised. Yeah, but AC in full detail with the sol(?) mod looks freaking gorgeous! It’s got a pile of content available and the fizzicks are great.